Create a listing for your business or organization on Flag City Online to enhance your chances of being found online! Flag City Online Listings allow a space to include all contact information: contact name and title, organization name, physical address, phone numbers, email address – any way possible to reach out. Create links to websites and social media channels. Identify a listing with a properly tagged logo and images. Create links to online documents like applications, brochures or menus. There are not many limits as to what an account with Flag City Online can do to help YOU be found online. Beyond that, a listing on Flag City Online will have a specific url that can be shared across social media and on reciprocating websites. Reciprocal linking forms strong bonds which search engines look upon favorably. 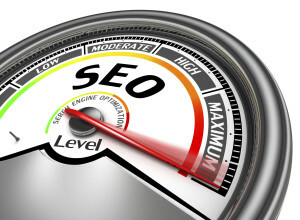 Flag City Online is a marketing tool for Everyone interested in SEO (search engine optimization). And the rates are great! Create a full listing for only $24.00 per month. Additional listings are only $5 each/month. When you are ready to sign up, click here. Additional discounts are available for Watchtower IT Services customers and clients of graf-X-cape. Collect all of the contact information, images and links to include in the listing and forward via email. The answer is keyword density. Many organizations offer more than one service or product. Sometimes they are not even remotely related. A landscape company may install koi ponds in the summer and install Christmas lights and outdoor decorations in the winter months. Simply mentioning these items in a bulleted list of services doesn’t do much for when the public types those topics into a search. Creating a secondary listing that goes into great detail about koi pond installation and maintenance builds up the concentration of those words. Likewise, another separate listing about installing Christmas lights, taking down Christmas lights and prepping them for storage will allow those topics to send out a beacon to the search engines. Concentrating on keywords within a Flag City Online listing WILL help searchers land in the right spot.